Please take a look at the advanced AllAbsoluteStrength_v2 indicator which uses AllAverage_v3.1. This indicator can be considered as an alternative to the well known RSI, Stochastic and DMI, as far as their methods of calculation based on Buyers and Sellers strengths. Despite of the enumerated indicators, the calculation is performed in points, not in a percentage. It gives a possibility to appreciate finer-grained market strengths and avoid such sufficient disadvantages as "stuck" in the strong trend for Stochastic. OverBought/OverSold levels (OverBought/OverSold),as in the RSI and Stochastic, regulated by StrengthLevel and WeaknessLevel parameters (for example, 80 and 20). The channel of the standard deviations regulated by LookBackPeriod parameters and coefficients for the upper (UpperMultiplier) and lower (LowerMultiplier) bound of the channel. High/Low Channel drawn on the principle of the price channel is regulated by the LookBackPeriod, StrengthLevel and WeaknessLevel parameters. 2013.04.22 - version v2.1: 1 minor bug fixed. greenmilk, fxpreneur, secretcode and 7 others like this. Important: Please download fixed version v2.1. what is this indicator below? This is Trend indicator (almost same with iTrend but with different visualization). Indicator is attached to this post. Would it be possible for you to mod. this indicator so it draws(dot or arrow) on chart according to their strength ? Please explain more concretely what you want to see on the chart because there could be a lot of combinations to draw arrows. Please see the picture what i have in my mind for signals (Arrows) ! 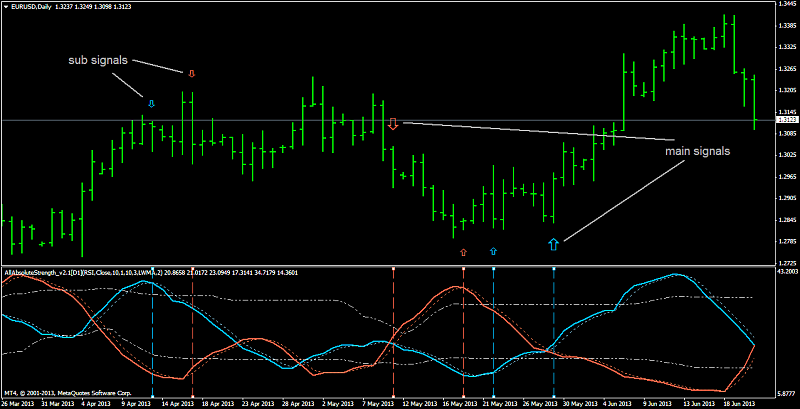 thanks fore share it but i don't know about this indicator pls tell me is it repainted???? No, it does not repaint. 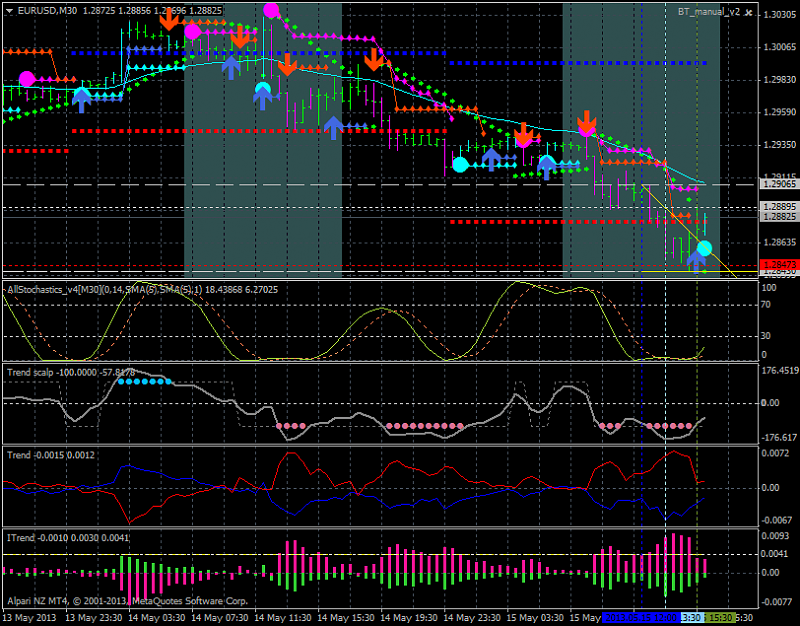 AllAbsoluteStrength is famous indicator and I am using it to estimate the market condition in the morning for example.